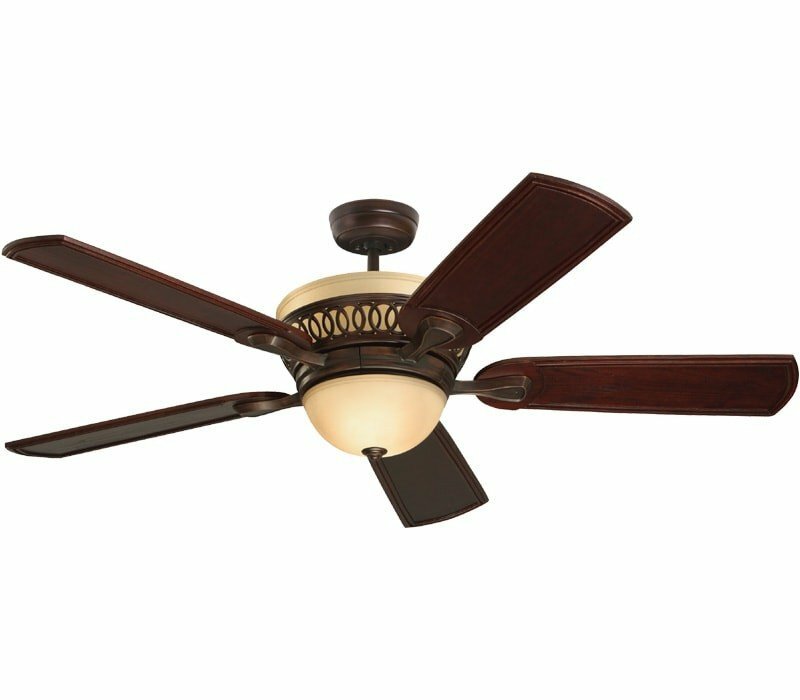 The Braddock ceiling fan by Emerson is an integrated design with both a down light and included accent light. 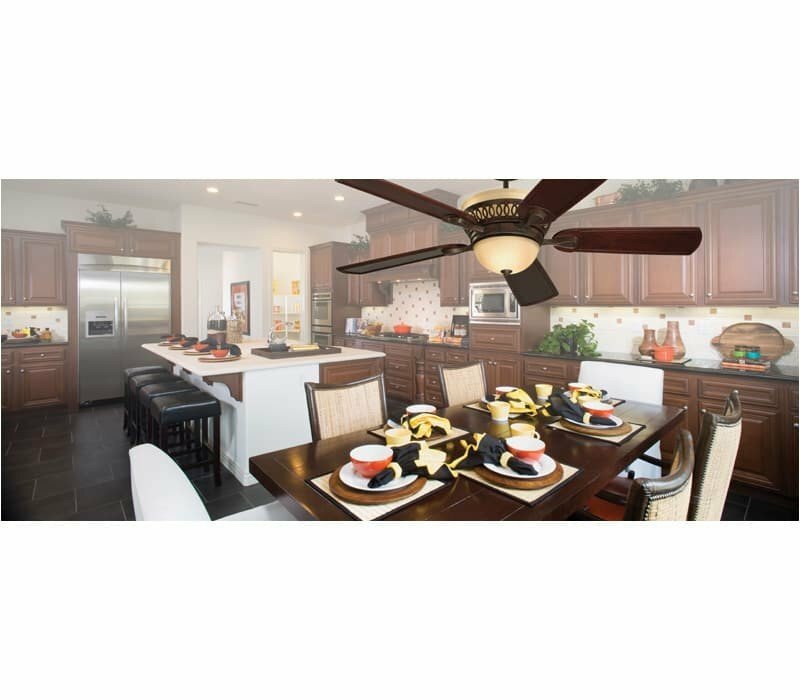 A unique iron ring pattern encompasses the upper amber mist glass providing a sense of depth and architecture to this model. 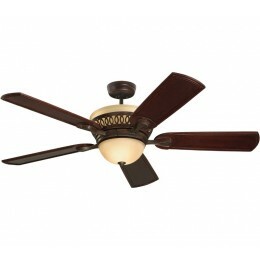 This fan is also complete with solid wood, hand carved blades in a Dark Mahogany finish. 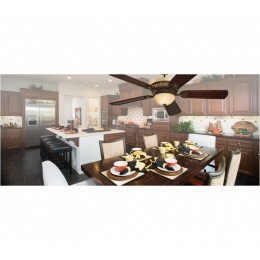 Simply beautiful, this fan sets any room aglow in its rich Venetian Bronze finish.